In the past two weeks, ONGC has outperformed the market by gaining 11 per cent after it reported a strong 65 per cent jump in net profit, as compared to unchanged benchmark index S&P BSE Sensex. Shares of Oil and Natural Gas Corporation (ONGC) were trading 2 per cent higher at Rs 146 apiece on the BSE, also the top gainer among the benchmark indices S&P BSE Sensex and Nifty 50 at 10:20 am. The stock of state-owned oil exploration & production (E&P) company adjusted for an interim dividend of Rs 5.25 per share. ONGC has fixed Friday, March 1, 2019, as the record date for determining the eligibility of shareholders for payment of interim dividend. 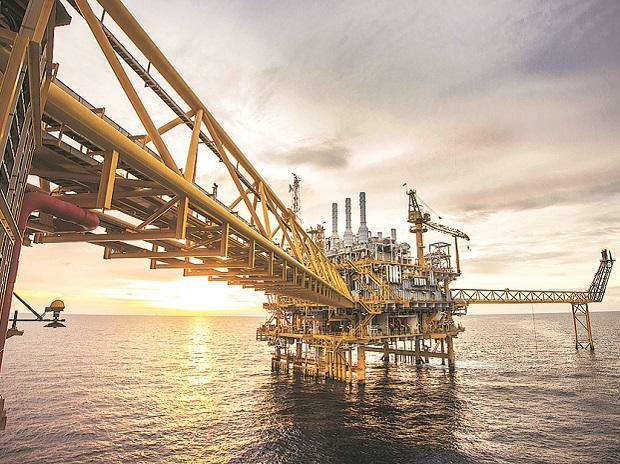 In the past two weeks, ONGC has beat the market by gaining 11 per cent after it reported a strong 65 per cent jump in net profit at Rs 8,263 crore in Q3FY19, as higher prices made up for a fall in oil output. It had a profit of Rs 5,015 crore in the same period of the previous fiscal. In comparison, the benchmark S&P BSE Sensex remained flat during the same period. The Cabinet last week approved a plan to incentivise contractors to go into unexplored areas by exempting them from sharing revenue with the government, unless windfall gains are made. In addition, about 64 fields of ONGC and Oil India, which contribute about 6 per cent of their production, will be leased out to private players through a bidding process, under which private players will pay rentals to state-owned companies. The Government’s gas pricing policy change is a sentiment-positive change, in our view, though we do not see any material earnings impact in the next 2 years from the same, analysts at JP Morgan said in a report dated February 21, 2019. However, the brokerage firm has ‘overweight’ rating on ONGC with 12-month target price of Rs 210 per share. “A $60-70/bbl oil price environment in a weak rupee environment is broadly positive for the stock price, in our view, as it allows investors to price in a steady earnings outlook without the risk of subsidy burden on the company. ONGC’s gas realizations should increase further into FY20 given the lagged flow through of gas prices. We expect production growth should pick up from here. FY19 saw crude production growth impacted negatively as rig issues impacted production. As the rig issues are resolved we would expect crude production to pick up materially into FY20,” analysts said. Given regulatory issues, we believe a headline P/E basis is the most appropriate methodology. We find ONGC’s valuations pricing in excessive 'Unknown Policy Risks' even as FY19 saw ONGC achieving the market realization of crude even at around $85/bbl. We believe given its distinctive operating environment (state-owned resource company in India) and the specific regulatory risks (crude subsidies, pricing), it is best compared to its own long-term trading history and not to the global E&P universe, it added.